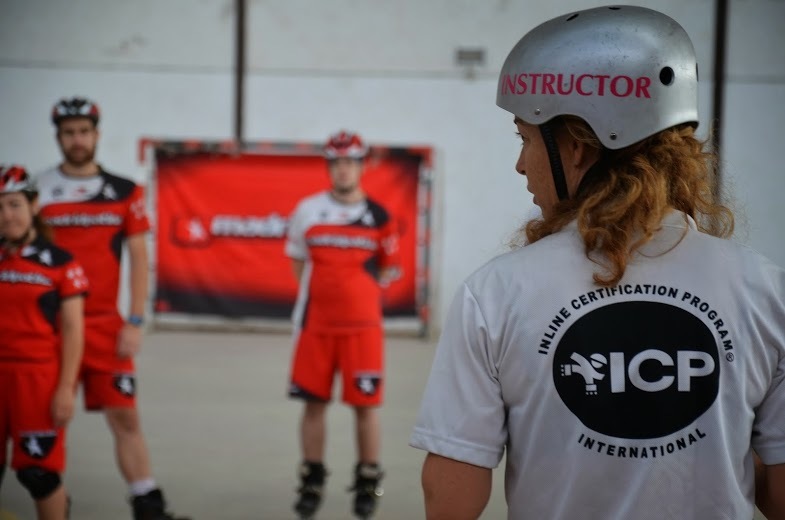 I’ve been an Examiner for the ICP (http://www.inlinecertificationprogram.org/) since 2004 and in that time my responsibility is to take enthisiastic skaters and train them in the ICP Level 1 Instructor syllabus and then certify them when they pass the exams. This is the beginning of a skate instructor’s career. A small number of successful level 1 instructors go on to do the ICP Level 2 certification which is another grouelling weekend of skating and teaching, sharing and collecting knowledge and experience. As a testimony to how the skate industry is booming in Spain right now, I am conducting 2 Level 2 certification weekends in a row here in Madrid. That’s a huge amount of higher level instructors coming through. This is great news for the industry here, hopefully lifting standards and giving greater credibility to those instructors who are successful at ICP2. The first time I certified instructors from Spain’s largest skate school MadridPatina, was back in 2008. Now they had a group of their ICP Level 1 certified instructors who wanted to progress to Level 2. Each year MadridPatina holds their own internal training weekend for all their instructors and this is how we all ended up in a little village outside Madrid for a long weekend of skating, teaching and exams. I’m happy to say all 8 candidates passed their Level 2 exams, but not without some serious efforts and concentration. We began on Friday 20th Sept with Skills training and then Theory in the evening. 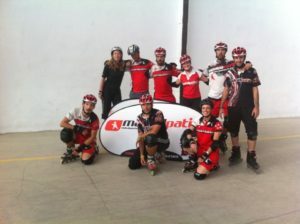 MadridPatina have a gnenerally high standard of instructors due to their 10 years in the industry and having two ICP level 3 instructors already on their team. Saturday morning we continued with skills practice and then got into the knitty gritty of teaching the more advanced Level 2 skills (using some of the other instructors as students (so that the candidates got even more teaching practice). Madrid Patina had sole use of the local sports hall and we sometimes also went outside to make use of more space on a quiet country road (great for Stage 3 skating drills and Lunge Turns). There were also some outdoor courts which we used while enjoying the autumn sunshine. On Saturday we ended the day with revision and the written test. I skipped dinner in favour of bed! On Sunday we kicked off with the teaching exams and it was good to see the development of a lot more movement of students in class, more detailed corrections taking place and the more difficult creation of corrective exercises (rather than just verbal adjustments). Level 2 is more complex and demanding than Level 1 but also more fun and interesting for instructors who already have experience of teaching and want to expand their abilities. After another 3 course meal for lunch, we ended the assessments with the skate skills exam. The feedback and giving of results was as usual a very group orientated activity and MadridPatina has a palpable feeling of ‘community’ and togetherness which is hard to replicate anywhere. Everyone sharing in everyone’s success and relief. Well done to them all. Very few certified instructors go on to pass level 2. I hope the experience will enrich their teaching lives for many years to come. Video tutorial on how to skate correct edges. Useful for all skate skills and tricks. 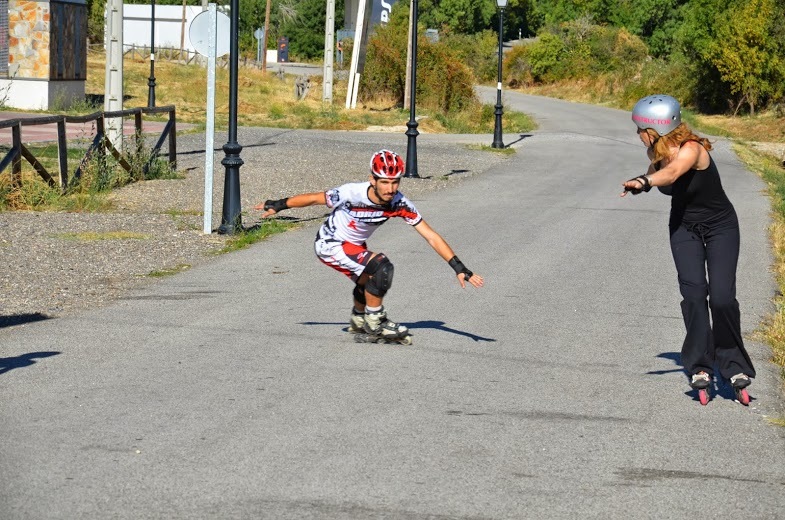 Skate Video Tutorial on how to steer quads skates.